INFO: What should I feed my dog? A balanced diet is important for your dog’ overall health. However, when cruising down to aisles of your local supermarket or pet store, it isn’t uncommon to see rows and rows of pet food offering the nutrients your pet needs to stay fit and healthy. 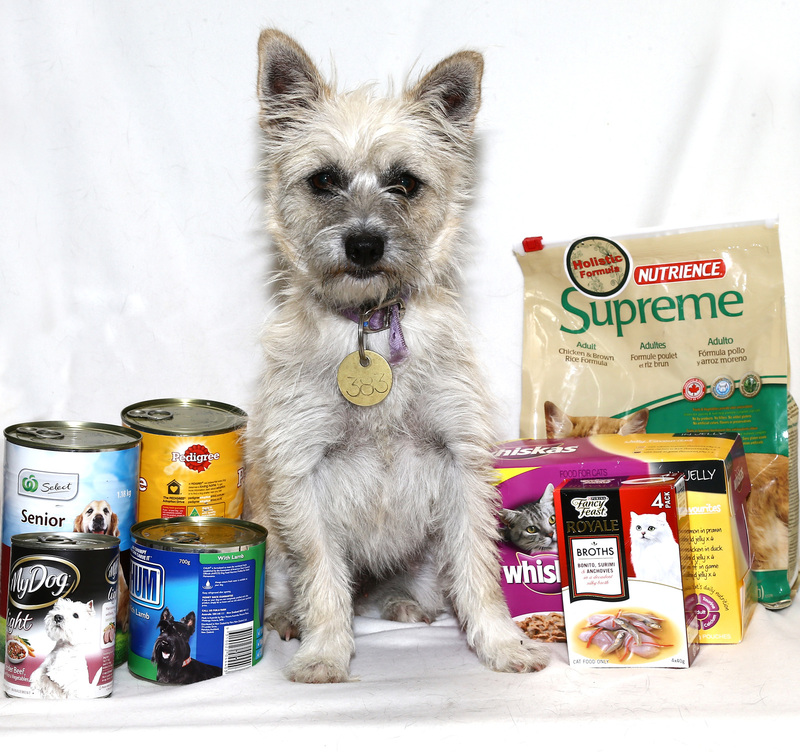 For new pet owners, working out what to feed your dog can be overwhelming. So to help you we spoke to Dr Alan Bolton, General Manager Veterinary Services to get his tips on what to feed your dog at any age. There are six essential classes of nutrients dogs need for optimum healthy living. Your dog should be able to get all the nutrients they need from high-quality commercial pet foods, which are formulated with these standards in mind. However, dogs of different ages and with different medical conditions have different nutritional requirements. So there are some things dog owners need to be mindful of as your dog grows and develops. Puppies require up to twice the energy intake of adult dogs. Look to feed your puppy a high-quality puppy food they’ll eat throughout their entire growth period. If needed, moisten the food with warm water to create a soupy mix which is appealing to their sensitive palates. Remember, the adult size of a dog is determined genetically, not by how fast your dog grows. Do not overfeed your puppy in an attempt to accelerate their growth rate. If they are allowed to overeat, puppies can consume too many calories, which can lead to health problems as they get older. Adult dogs need food which gives them the nutrients they need to keep their energy levels up. It is recommended adult dogs are fed twice daily. The amount you feed your adult dog should be based on their size and energy output. For example, an animal with normal activity levels, such as a daily walk, should receive enough food to maintain that energy. A lap dog may require just a fraction of that, while an active pet may require more. Outside factors, like the temperature, can also contribute to how much your dog should eat. Since keeping warm and cool require extra energy, extreme hot or cold weather can also increase a dog’s energy needs. As our dogs age, health issues may arise including deterioration of skin and coat, loss of muscle mass, arthritis, obesity and dental problems become more prevalent. For many dogs these changes begin between seven and 12 years old. While some changes in our dogs as they age can’t be avoided, others can be managed through their diet. When feeding your senior dog, the main objective should be to maintain health and an ideal body weight, slow development of chronic disease and minimise diseases which may already be present. All dogs are different, so if you are unsure of when to start feeding your dog a senior diet, talk to your vet. Dog owners should talk to their vet to determine the best feeding schedule and types of foods for their dog. The team at the Frank Samways Veterinary Clinic can help new pet owners keep their pet’s diet in check year round. You can view their opening hours and make a booking here.